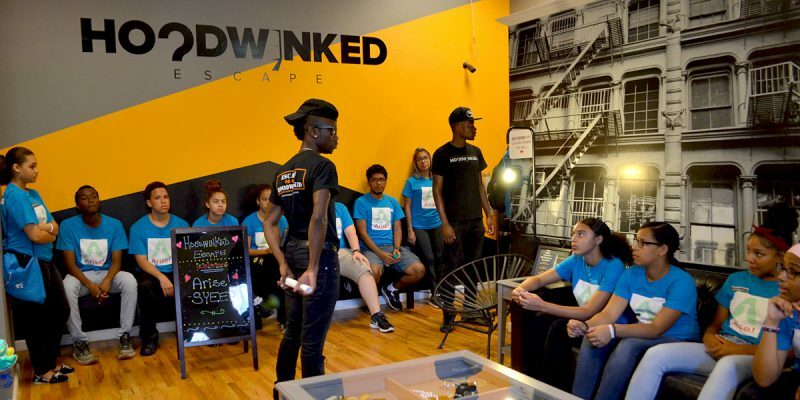 Youth participants from the Arise!SYEEP program became escape artists today as they enjoyed a trip to Harlem’s premiere escape the room’ adventure at Hoodwinked. We are so proud of our youth who maneuvered through (4) escape rooms in less than an hour. Special thanks to Hoodwinked’s proprietor, Michele Ware, who hosted our participants with such an amazing experience. Hoodwinked is the perfect activity for date night, fun with friends, family bonding and team building. Use your wits to solve puzzles, riddles, and codes to escape the room in 60 minutes.